Tipard iPhone Converter Suite for Mac is a professional Mac iPhone converter consisting of iPhone Video Converter for Mac and DVD to iPhone Converter for Mac. With the assistance of this single package, you are allowed to convert both DVDs and other video files to iPhone supported video formats. 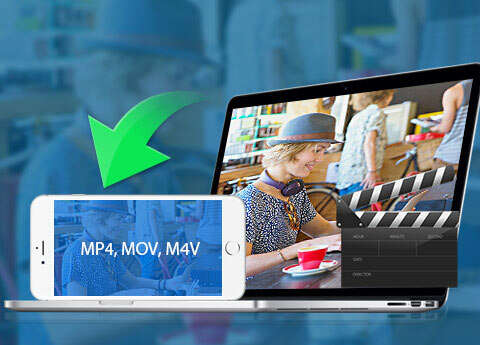 Convert DVD to iPhone H.264 HD/720P video, MPEG-4, MP4 etc. Why Choose iPhone Converter Suite for Mac? It's a comprehensive iPhone converter for Mac that is capable of converting DVDs/video files to video formats suitable for your iPhone at super-high speed. You are also allowed to adjust the video effect according to your own wish. Tipard DVD to iPhone Converter for Mac allows you to convert DVD to iPhone video formats including mp4, mov, m4v etc. And it highly supports iPhone HD videos which can give you brilliant visual effect, such as iPhone5 H.264 HD/720P video, iPhone4S H.264 HD video etc. It supports all types of iPhone, including iPhone XS/XS Max/XR/X, iPhone 8/8 Plus, iPhone 7/7 Plus, iPhone SE, iPhone 6s, iPhone 6s plus, iPhone 6, iPhone 6 plus, iPhone5, iPhone4S, iPhone 3G etc. With the help of this DVD to iPhone converter, it becomes easy for you to enjoy DVD movies wherever you go and whenever you like. You are also allowed to choose other Apple devices, for example, iPod Classic, iPod Nano, iPod Touch, iPad4, iPad Mini, iPad Pro, The New iPad, Apple Tv etc. This DVD to iPhone converter also enables you to extract audios from video files and save them in your Apple devices, such as AAC, MP3, WAV, AIFF and M4A. By doing this, you could just listen to your favorite movie wherever you go. Tipard iPhone Video Converter for Mac has the function of converting videos to formats compatible with iPhone, such as mp4, mov, m4v. You could also convert videos to iPhone HD videos which provide you wonderful visual effect. With the assistance of this video converter for Mac, you can convert your favorite online videos to iPhone supported formats on Mac and enjoy them on your iPhone any time you want. This is a great benefit for movie fans and online video fans. What's more, you can choose other Apple devices instead of iPhone, as the Mac iPhone converter suite supports multiple types of iPad, iPod and Apple TV. To save capacity for you, this iPhone Video Converter has another ability of extracting audios. You can choose AAC, MP3, WAV and other audio formats as profile so the video will be converted to audio formats, which will save you a lot of capacity. Tipard iPhone Converter Suite for Mac enables you to adjust the brightness, contrast, saturation, volume and hue settings of the DVD or the video you want to convert. Through these adjustments, the style of the original video will be changed. With the help of Crop function, you are allowed to cut off the black edges of the video to fit for your screen as well as to enlarge your visual field. Under the Trim function, you can decide the length of the output video by setting the start and end time or directly dragging the progress bar. 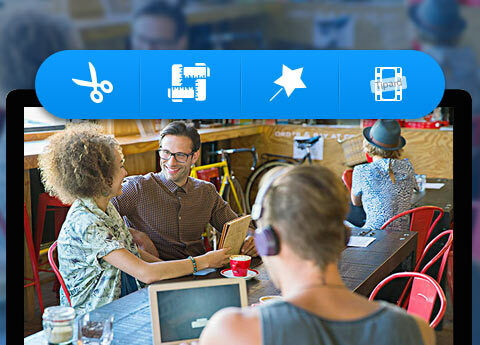 The converter suite also enables you to watermark your video by adding text or images whose position, angle, color, even transparency are adjustable. Under the Merge function, your favorite scenes could be put together as a long movie for you to play over. Meanwhile, you are able to preview the original video and output video quality in the same interface. The Mac iPhone Converter Suite provides users with high converting quality at ultra-fast converting rate. There are many options for you to choose, not only refers to the profile, but also the adjustable effect, the length, audio tracks and even subtitles. The iPhone converter suite is specially designed for common users, so the operation is simple enough for everyone. Just a few clicks can help you finish the whole conversion. You'll get familiar with the operation of this Mac iPhone Converter Suite after converting for a couple of times. Super-high conversion speed, high-quality video effect, comprehensive functions, simple operation and user-friendly interface, all these humanized design factors will give you the most wonderful user experience. You are capable of previewing any videos added or edited and snapshot fleeting picture during preview. It enables you to adjust the brightness, contrast, saturation, volume and hue settings of the DVD or the video you want to convert. The auto-update function makes it possible for this converter to update to the latest version automatically. So don't worry to be out. Jim: With the converting functions provided by Mac iPhone Converter, ripping DVDs to iPhone becomes simplified, enabling you to watch DVD movies no matter where you are. Blanche: This iPhone Mac Converter is just wonderful, especially for those movie fans like me! As long as your memory space is large enough, you can save a lot of HD movies on iPhone. Bing: Quite powerful and professional function designed for non-profession users. That's what I love the most. 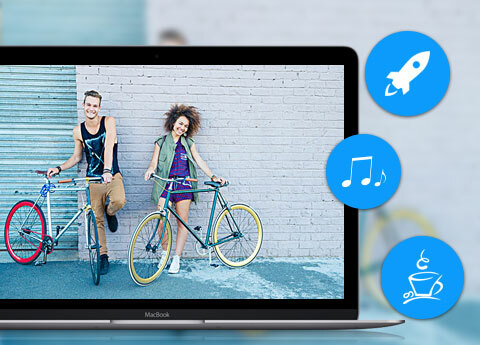 Convert DVD/video to iPhone video and audio, transfer any file between iPhone and Mac. Convert any DVD and video to iPhone, transfer iPad files and make iphoen ringtone.